(Photo Caption) Top L-R: Neil Primrose, PLATO Instructor; James Hunter; Ben Severight; Kirstin Dion; Keenan Minde; Ellary Furlong, PLATO Instructor. Bottom row L-R: Fayth Herman; Shantehl ElBakkali; Cheryl Watchmaker; Melissa Yellowknee, Oteenow Career and Employment Counsellor. 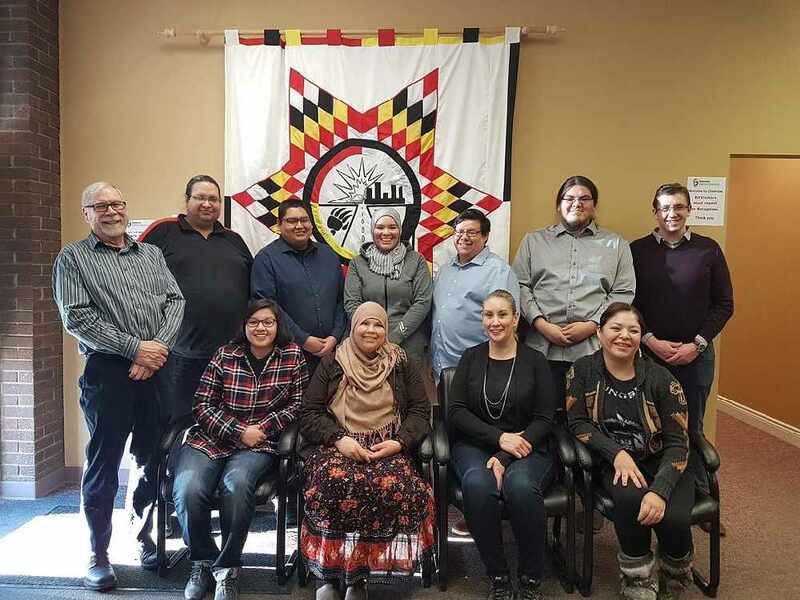 Edmonton-based Oteenow Employment & Training Society (Oteenow) celebrated its first graduating class of Indigenous software testers on May 24. This celebration marked a milestone for a program that will train and employ 45 Indigenous youth and adults in a non-traditional sector over the next three years. Congratulations on the graduation were conveyed by letter from Navdeep Bains, minister of Innovation, Science and Economic Development and minister responsible for Western Economic Diversification Canada. “We are proud to partner with Oteenow to support their integrated software testing program and extend our sincere congratulations and best wishes to all of the graduates,” he wrote. Oteenow’s Software Testing Program consists of eight months of classroom training and two months of internship. Graduates are qualified to test or find bugs in software. The program is a partnership between Oteenow and New Brunswick-based Professional Aboriginal Testing Organization Inc. (PLATO Testing), a company that works to address the supply and demand issue within Information and Communications Technology (ICT) by training and hiring Indigenous people. Shantehl ElBakkali from Samson Cree Nation was a stay-at-home mom for four years before starting the program. She benefited not only from the technical training she received, but also from the social aspects. “I had been away from the workforce and school and training for so long that I almost forgot how to interact with people outside of my circle of friends and family,” she said in her graduation speech from the program. The ICT Council of Canada estimates that hiring requirements for ICT jobs in Canada will be 182,000 by 2019. Since 2015, PLATO Testing has trained 90 Indigenous software testers and employs over 70 of those testers across Canada. That staff now includes seven recent Oteenow graduates who today test software for PLATO clients, including Suncor, SCM Insurance, and IBM. "The fact that we started with 10 students and we ended with seven graduates who are employed says a lot about your dedication and your ability,” said Roberta Bearhead, executive director of Oteenow Employment & Training.